Ganley Toyota has a dedicated finance department with professional members who have years of experience when it comes to sub-prime car loans, reach out to our Toyota dealership for some assistance today! We've made it easy to express your interest in financing assistance, simply complete the secure form below and send it over to our new and used Toyota dealership today. The few simple questions provide some insight as to your financial background, which enables our finance team to tailor a plan that suits your needs and budget. The information you provide on this form is the information we will use when contacting the many lenders we work with, so take your time and ensure all the material is up-to-date and accurate. Should any questions arise as you are complete our online credit application, don't hesitate to reach out to us! Our friendly Toyota team members are standing by, ready to assist as needed. 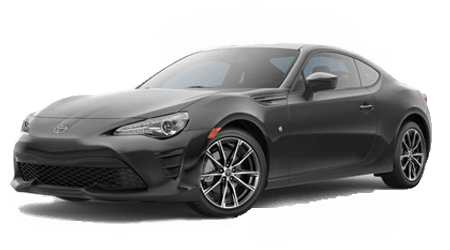 If you'd rather sit down with one of our experts and have the process explained to you and receive some help filling out your form, drop by our Toyota dealership in Akron, Ohio at your earliest convenience. We're always happy to see our customers and will gladly assist with your loan request. Our finance department has helped drivers recover from repossessions, foreclosures, divorces and even bankruptcy filings and we're anxious to review your unique credit score and past financial records to discover ways we can help. Talk to us about the new Toyota Camry you're looking for or the used Toyota RAV4 that caught your eye; our team will work diligently with our lenders to present you with loan packages that get you behind the wheel of the Toyota model you've been wanting. Don't let poor credit stop you from securing a reliable vehicle you can be proud to call your own, send over your completed loan application now!